Now available on GitHub in developer preview are open source Helm Chart deployment templates for Confluent Platform components. These templates enable developers to quickly provision Apache Kafka, Apache ZooKeeper, Confluent Schema Registry, Confluent REST Proxy, and Kafka Connect on Kubernetes, using official Confluent Platform Docker images. 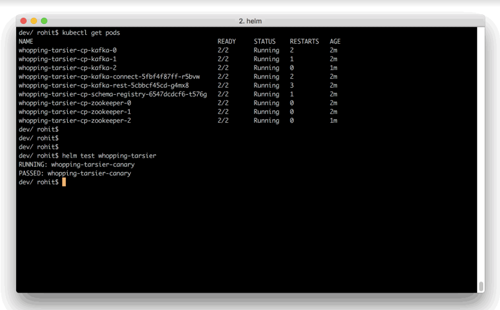 Helm is an open source packaging tool that helps you install applications and services on Kubernetes. Helm uses a packaging format called charts. A chart is a collection of YAML templates that describe a related set of Kubernetes resources. For stateful components like Kafka and ZooKeeper, the Helm Charts use both StatefulSets to provide an identity to each pod in the form of an ordinal index, and Persistent Volumes that are always mounted for the pod. For stateless components, like REST Proxy, the Helm Charts utilize Deployments instead to provide an identity to each pod. Each component’s charts utilize Services to provide access to each pod. Special thanks to Qi Shao, Nikhil Chandrappa, Li Wang, Amey Banarse and Prasad Radhakrishnan from Pivotal’s (NYSE: PVTL) Platform Architecture team for their contributions in developing and testing these Helm Charts. What’s both exciting and challenging about working with the vibrant Kubernetes ecosystem is that everything progresses so fast. 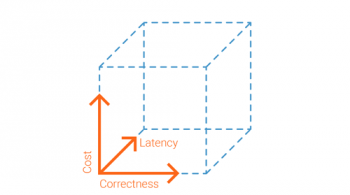 To help you understand and plan for running Confluent Platform on Kubernetes, we’ve provided a white paper that shares the best practices we’ve learned over time. 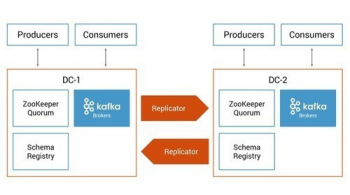 The Recommendations for Deploying Apache Kafka on Kubernetes white paper helps you see how Confluent Platform components fit into the Kubernetes ecosystem. It also covers our approach to networking, storage, traffic, log aggregation, metrics and more. We will update this white paper as the Kubernetes ecosystem continues to evolve. Our end goal for this is to make streaming data ubiquitous. Kubernetes lets you run your applications and services anywhere. Kafka enables you to make your data accessible instantaneously, anywhere. 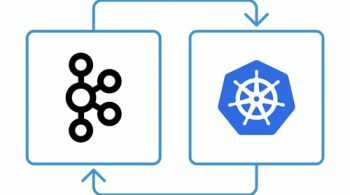 Get started with Kafka on Kubernetes today by checking out the white paper and Helm Charts on our website. With Confluent Operator, we are productizing years of Kafka experience with Kubernetes expertise to offer you the best way of using Apache Kafka on Kubernetes. Let us know if you are interested and we’ll notify you when it’s available! Yeva Byzek November 26, 2018 . 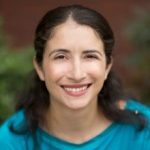 Apache Kafka on Kubernetes – Could You? Should You? Gwen Shapira October 24, 2018 . Matthias J. Sax September 11, 2018 .